The ASUS TUF Z390M Pro Wi-Fi motherboard is packed with features and supports 8th and 9th Generation Intel Core processors in the LGA1151 package and has two 32GB/s M.2 slots and supports ASUS AURA. When you build with a TUF Gaming motherboard, you also benefit from the TUF Gaming Alliance - an ASUS collaboration with trusted industry partners that ensures easier building, the best compatibility, and complementary aesthetics from components to case. 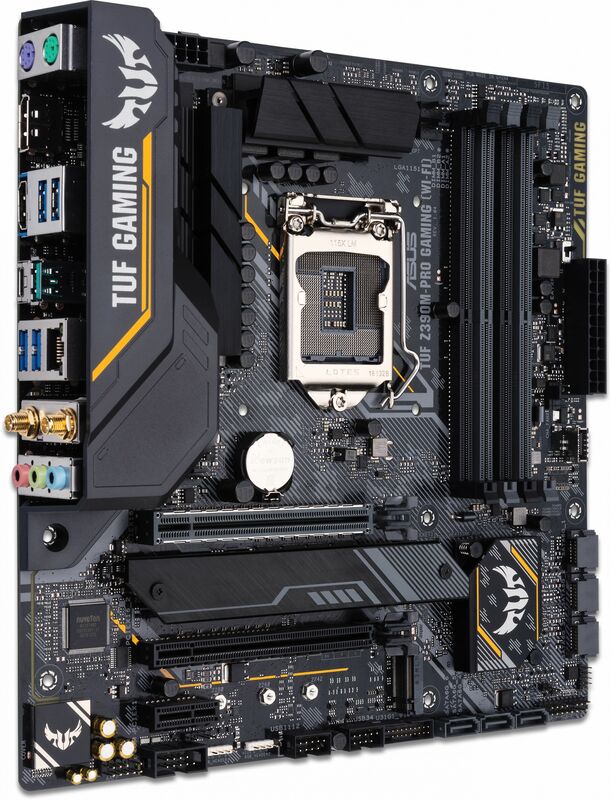 TUF Gaming Z390 provides a complete, high-performance gaming package with a long list of features to improve your experience, including ultrafast networking for smoother online gameplay, immersive audio with positional cues for FPS gaming, and onboard RGB lighting that syncs with attached accessories to help you create the perfect gaming atmosphere. 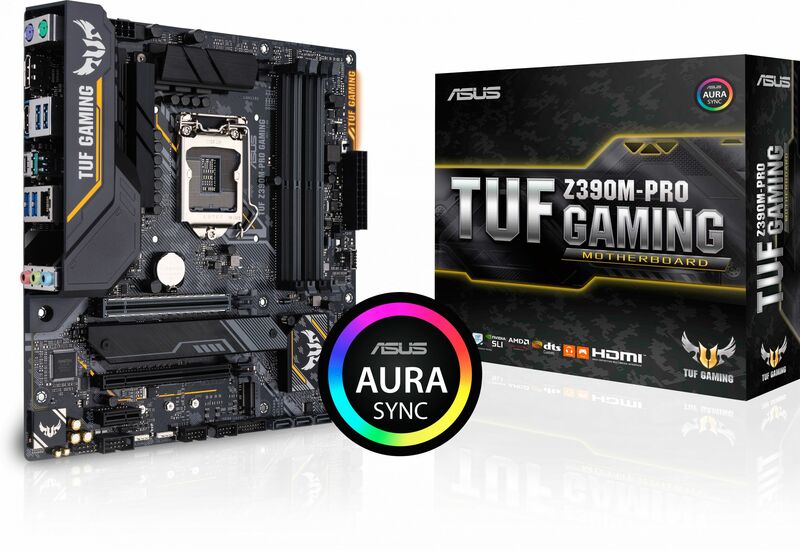 ASUS Q-Installer software provides automatic download and installation of drivers and utilities for your TUF Gaming motherboard. Choose just the options you want from a user-friendly interface and Q-Installer will do the rest. With Fan Xpert 4 you're able to control system fans based on inputs from up to three temperature sources. For example, Fan Xpert 4 can be set to spin up the chassis fans in response to the GPU temperature. So, when the gaming action heats up, additional cooling kicks in — just when you most need it. Choose your temperature sources and thresholds, from motherboard and CPU to GPU, and leave Fan Xpert 4 to do the rest.